Post its debut at the 2014 Auto Expo in February, TVS has started sales of the 2014 TVS Wego in the country. The updated Wego is available in two variants: standard and disc. Following are the prices, ex-Showroom, New Delhi. 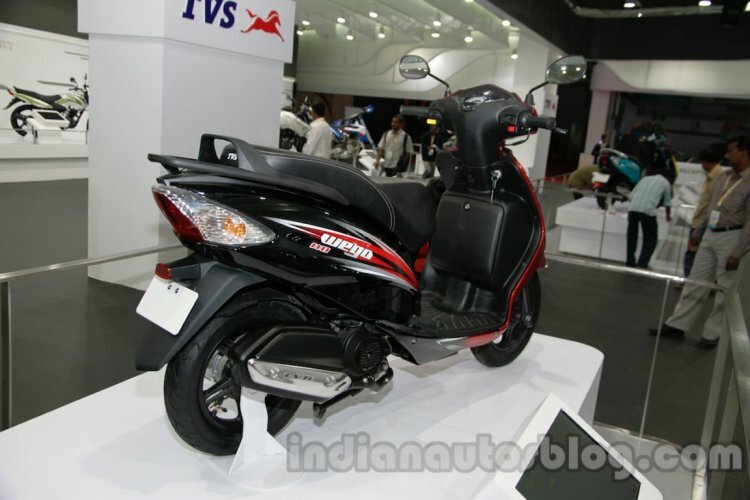 The updated TVS Wego was shown at the Auto Expo this year. Though the Wego is still powered by a 110 cc motor, the engine is now an upgraded EcoThrust unit, which is nothing but a downsized version of the engine used in the Phoenix 125. The same engine is also used in the recently launched Star City+. The air-cooled engine produces 8 bhp at 7,500 rpm and 8 Nm of torque at 5,500 rpm (same as the older Wego) and comes matched to a V-Matic transmission. The Standard variant gets 130 mm drums at the front and rear, while the disc variant sees a 220 mm disc brake at the front. TVS claims an efficiency of 62 km/l for the updated Wego. The scooter comes with an updated engine and puts out 8 bhp and 8 Nm. 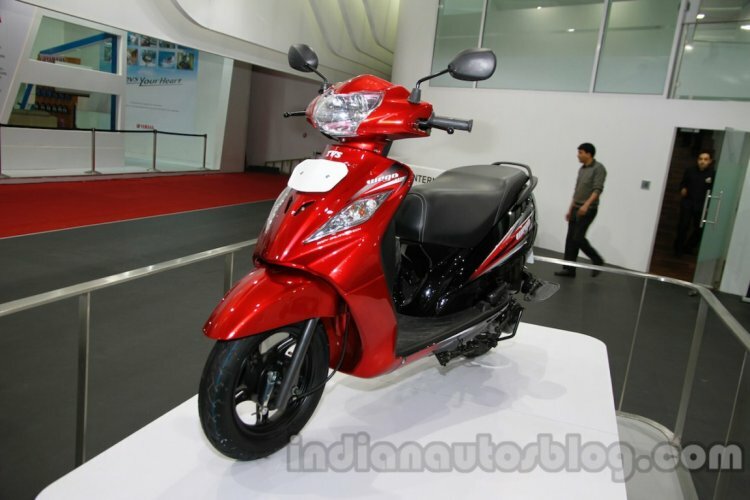 Visually, the Wego's front end appears a bit sharper thanks to the mildly redesigned indicators and headlight. The scooter showcased at the Auto Expo came in a dual-tone shade and featured black alloy wheels and engine parts.